Does music played for a fetus increase intelligence potential for that baby? I was out in Ohio over the Thanksgiving break visiting family. On the first night there, after we all ate and played some games and watched a movie everyone headed to their assigned bedrooms. I was sleeping in the room next to my cousin Allie and her husband. As soon as the lights went out I heard music through the walls. It wasn’t the rap or pop stuff that I am used to listening to but was more of a classical style. It went on for most of the night until I fell asleep and was still playing when I woke up. The next morning at breakfast I asked my cousin, who is 7 months pregnant what was up with the music last night. She told me she was playing for her baby to soothe him and help his brain develop. At first I thought she was playing with me but she explained that some people think that music, especially classical, can help a baby’s brain develop while it is still in the womb. She showed me her CDs, there was Beethoven, Bach and Wagner. My mom heard us talking and when she heard what we were talking about she told me that she did that for me and my sister as well. I never knew this! My grandfather later chimed in that in his day they didn’t do this and tried to make a joke at my uncle’s expense. I knew that this would make an excellent topic for one of my blogs because it is a relatively new idea and i was guessing there would be some research to prove or disprove this. Wellesley College posted an article called, “Wagner for the Womb” in which they answered if the stimulation of prenatal music affects how smart the baby will be when they are born. They tested this theory with animals, since testing human fetus’ would be unethical and not as practical. Although it is not known if animals have the same love for music as humans, they still have found that prenatal music stimulation has an effect on the animal fetus. They looked at a study done on rats where the researcher exposed pregnant mothers to music every day for one hour until the fetus’ were born. When they were born, they were put in a maze to see how fast they could find their food compared to the control group, which were rat’s not exposed to music in the womb. It was found that the mice that had prenatal auditory stimulation were much faster to find their food in the maze. “Wagner for the Womb” then goes on to talk about how music physically affects our brain and how its impact on our intelligence and the Mozart Effect. 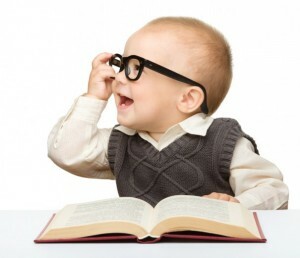 The Mozart Effect is a theory that if you listen to Mozart, a child’s IQ will increase. This lead me to think that when a child is exposed to a sound, inside or outside the womb, their IQ will increase leading them to become smarter as time goes on. But this also makes me wonder, is it just music that helps, or can it be other sounds as well, like a mother’s voice? Livestrong also investigated this theory. 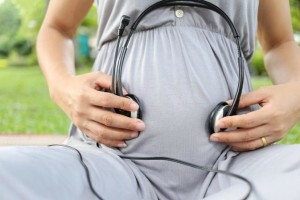 They concluded that it is still unknown if prenatal music affects the fetus but they have found some evidence to prove that it does, after birth. There was a study done with 6 pregnant ladies in 1991 with a follow up study in 1993. The study was to see if the children recognized the music that was played while they were inside the womb. Some of the music played was classical music and piano music. The music was played through headphones and held up to the mother’s stomachs in 1991. In 1993, it was found that the babies who had music played to them in the womb, showed more of a recognition toward the sounds than the babies who had not played music to them. This goes to show that although we can’t be positive that prenatal music stimulation will affect the baby’s IQ, it sure seems like it does. This entry was posted in Uncategorized on December 2, 2016 by jnb5450.